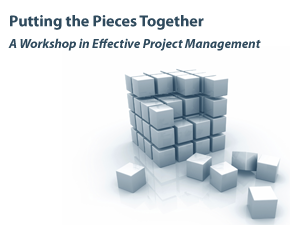 This project management workshop is a one-day program for nurses in managerial and leadership roles to understand the phases of the project management process. This course focuses on the role of project management and the project manager in health-care environments and will provide nurses with the skills to effectively use the project management tools and resources to support projects in their work environments. RNAO is proud to present this innovative course so participants can continue to build their confidence, knowledge and capacity as a nursing professional. use project management tools, resources and templates to support effective planning, implementation, monitoring and sustainability of projects. Janet is the Director of Resident Care at the Yee Hong Centre for Geriatric Care, Scarborough Finch location. Janet’s portfolio includes managing this 250-bed culturally specific long-term care home for Chinese seniors. Janet has also held two corporate acting positions at Yee Hong as Senior Director of Corporate Development and Executive Director. Janet is currently a member of the Central East CCAC BSO Design Team. Janet’s previous experience includes her role as the Senior Program Manager of the International Affairs and Best Practice Guidelines Programs at the RNAO. In this role, she managed various projects related to guideline development, revision and implementation. Janet is a RN with a background in NICU and pediatric cardiology. She has also worked in the private industry developing patient and practitioner educational materials for the pharmaceutical and biotechnology industry. Janet has a graduate degree from the University of Toronto, with a focus on Nursing Administration and is a designated Project Management Professional. meals (breakfast, morning break, lunch, afternoon break). Please email RNAO Events at events@RNAO.ca should you have any questions about this workshop.